Do you consider yourself a "prepper"? How did you get to this point in your life? Where did your desires to become more self sufficient begin? I know. I've been asking a lot of these kinds of questions lately. This is a very personal process; the evolution from one state of mind or phase of life to another. For me, I started out as a young boy going on rides in the mountains with my family. Cub and Boy scouts came next, deer hunting with my Dad and uncles, then independently looking for adventure in rock climbing, caving and in the 'wilderness' (you have to say this word every time in Nacho Libre's voice) practicing survival skills. I then got married and began to raise a family. As our family grew so did my responsibilities. I've always been the "Prepared Guy": the one with the tools and the self taught know how. This was fueled by the gift of my first Victorinox Swiss Army knife when I was about 8 years old. My Dad said that I'd cut myself with it for sure. And I did. I gave my 8 year old son his own Victorinox pocket knife too. I too said that he'd cut himself for sure. And he did. Now I am what I refer to as a full fledged Prepper. Where that goes from here is the scene above. The idea of moving away from the population, starting our own homestead and becoming more self sufficient is very appealing to me. The desire for a more simple, albeit more physically demanding lifestyle is constantly on my mind. 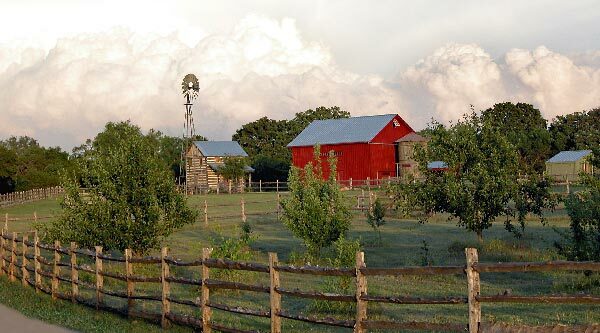 Some people may think that moving to the country and living off the land is taking a step backward. I vehemently disagree. How are you evolving in your life? Are you incorporating more or less technology?